The OPair will become a prized family possession. 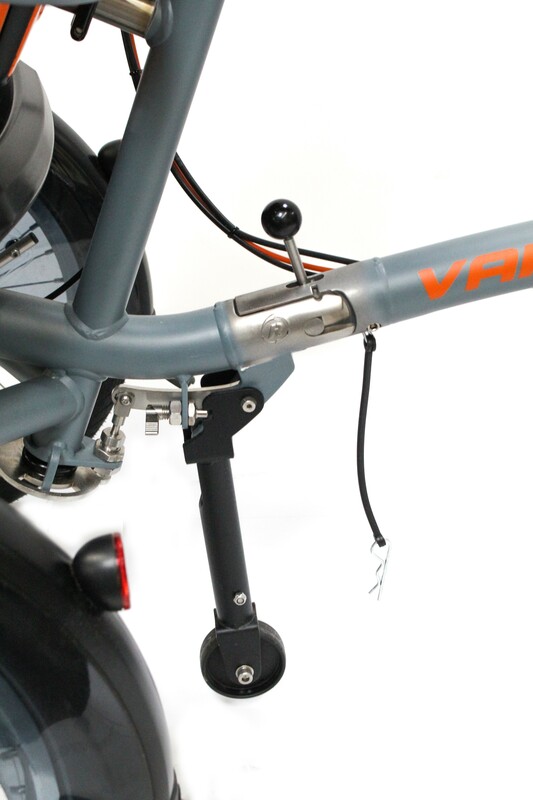 It is manufactured by renowned the Dutch Cycling company VanRaam Cycles. They have been the leader in adaptive cycling in Europe for more than 100 years. We are proud to be a leading USA importer of this wonderful brand. 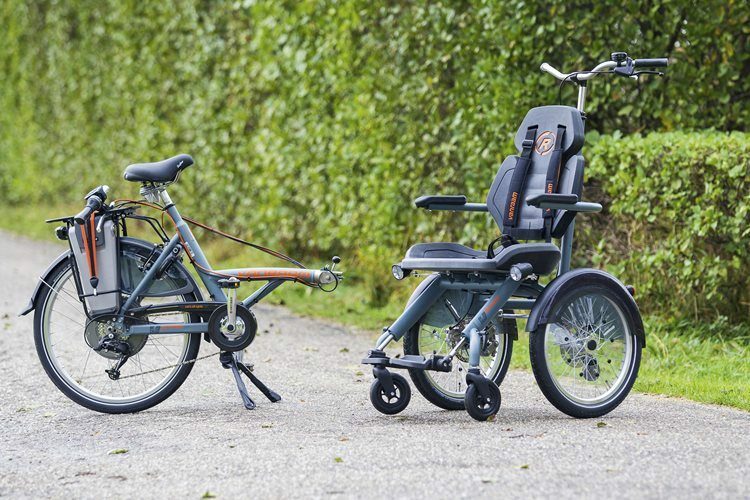 The OPair is a wheelchair bike with which you can transport a wheelchair user. A seat for the wheelchair user/passenger is affixed to the front of the bike. From the back, the cyclist has an overview on the road and view on the passenger. 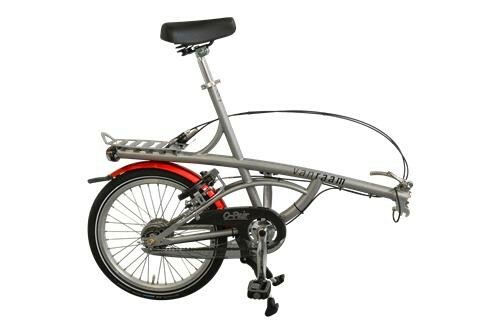 On the split frame version (which is included in this campaign price), the front part is easy to remove from the cycling component, which enables use as a wheelchair on location. 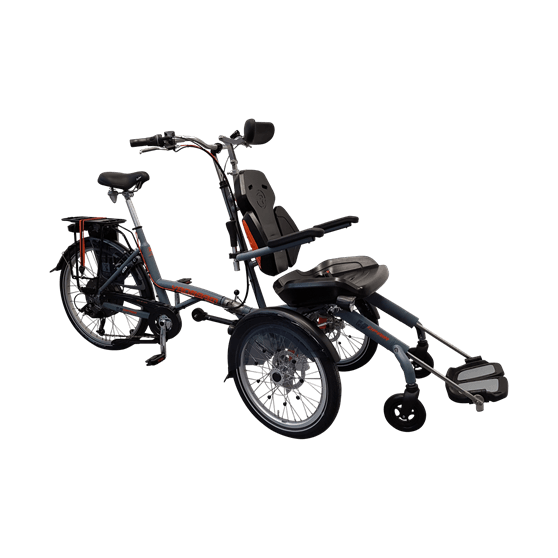 Unlike similar cycles, the OPair seat is fully padded (seat and back) and each front wheel is fully suspended. The ride of the bike is both stable and comfotable for both persons. The slightly angled front wheels provide increased driving comfort and stability. 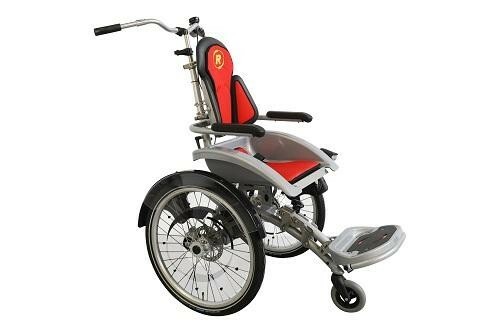 We have included flat resistant SmartGuard tires.The depth adjustable seat of the OPair can be set to the passenger's measurements as well as the angle adjustable back rest and expandable side rests. 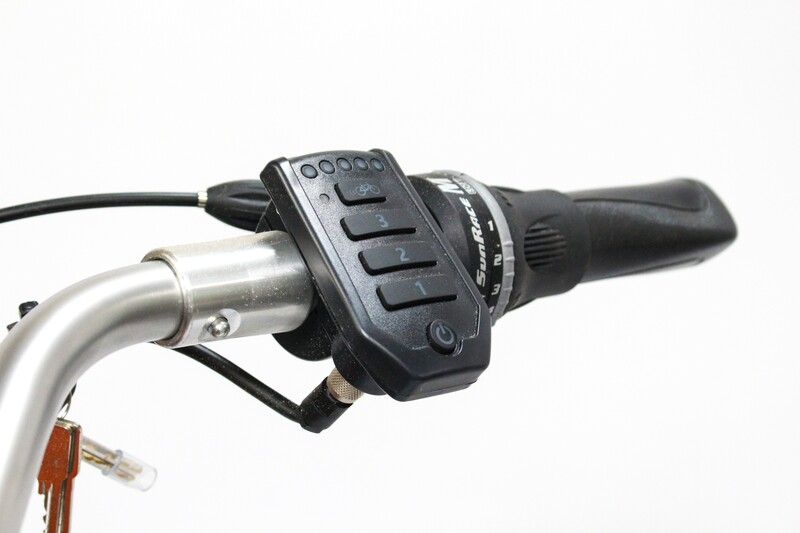 The optional electric motor provides support while cycling. It has 3 levels of assist, including a pulse start, and reverse. Wheel Size: Front 20", Rear 26"